We the Indigenous People of Biafra (IPOB) worldwide would like to use this medium to clarify pertinent issues bordering on our relationship with Mr. Abdulkadir Erkahraman, a Turkish citizen, who is the current President of International Nations Commercial Association based in Turkey and also an adviser to our leader Mazi Nnamdi Kanu. Mr Erkahraman is equally a representative of IPOB on international relations in the Middle East and Asia. Mr Erkahraman has come under serious attack lately from the APC regime of Muhammadu Buhari who are using some Turkish businessmen in Abuja and "Fethullahist Terror Organization" (FETÖ) to threaten him to denounce his support for IPOB to the extent of inviting him to come to Nigeria to make a television broadcast publicly renouncing his support for Biafra. His life and that of his family have come under severe threat and we wish to notify the Turkish government and the world accordingly. Having purchased a black market order from the court of Justice Kufurati sitting in Abuja labelling the peaceful IPOB a terrorist organisation, an act designed to alienate friends of Biafra from publicly associating with the IPOB led movement for self determination, this Nigerian government is hoping to isolate the movement for Biafra restoration away from international supporters. This scare tactics will not work because Mr. Abdulkadir Erkahraman is a conscientious Muslim who understand what human rights is all about and the need to preserve same. 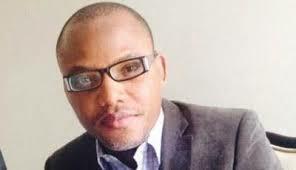 He believes that freedom for Biafra supersedes everything else in life, even his own religion. When he visited our leader in his home town Afaraukwu Ibeku Umuahia, their discussions focused exclusively on areas of infrastructural development and how such partnerships can be developed to help alleviate the suffering of the people of Biafra. He is not a Turkish diplomat, he has never claimed to be one and our leader did not receive him in such capacity. Those on online news platforms in Nigeria referring to him as a diplomat are deliberately misleading their readers. Some of these publishers are nothing more than sponsored agents, in the pay of the Ministry of Information, used to carry out smear campaigns in the hope of tarnishing the image of Mr. Abdulkadri Erkahraman and Biafra. Their sole aim is to cause misunderstanding in Turkish diplomatic circles. We strongly advise the Turkish mission in Nigeria to disregard the discredited lying antics of Lai Mohammed and their attempt to deflect attention from their murderous ill fated Operation Python Dance currently going on in Biafraland. The world should know that this Nigerian government has become so desperate to the point that they can go to any length to try and stop the restoration of Biafra, believe it through blackmail, intimidation and cold blooded murder. If you consider that this same Buhari regime in recent days have accused their staunchest allies United Kingdom, France and USA of financing terrorists [IPOB] you will begin to appreciate how paranoid they have become. The Buhari regime should leave Mr. Abdulkadri Erkahraman alone and stop using his name to settle old scores with the Turkish government over Buhari's sponsorship of the failed coup in Turkey. It is public knowledge that Turkey have ordered the Nigeria government to close down all the schools bearing Turkish names in Nigeria used as front for the Fethullahist Terror Organization (FETÖ). Until now this Buhari government have refused to close down these schools and organizations, they still bear Turkish names. We call upon the government of Turkey and the president of Turkey, His Excellency Recep Tayyip Erdoğan, to look critically at the activities of the government of Nigeria in Turkey. Mohammed Buhari is a known sponsor of terrorism and was named as Boko Haram chief negotiator before becoming president of Nigeria. He is presently the grand patron of the fourth most deadly terror group in the world, Fulani herdsmen better known as Miyetti Cattle Breeders Association. He is a man given to violent impulses and will not hesitate to sponsor another coup or fund terror attacks against Turkey, as long as it leads to bloodshed and loss of life. Buhari is a well known supporter of Fethullahist Terror Organization (FETÖ). He has given them protection and cover since he came into power. He is now using them to attack the Turkish government and her people. The Nigerian government imported arms into Nigeria ports under the guise of FETO in order to tarnish the image of IPOB and Mr. Abdulkadri Erkrahram and by extension that of Turkey. The Turkish government should as a matter of urgency review the activities of Nigeria government against the Turkish state and if need be expel the Nigerian mission in Turkey before it's too late. FETO is hiding under the Nigeria government to tarnish the image of Turkey and that of President Recep Tayyip Erdoğan. Nigeria government are hoping to use IPOB and Mr. Abdulkadir Erkrahram as bargaining chip in this Cold War with Turkey which we cannot allow.